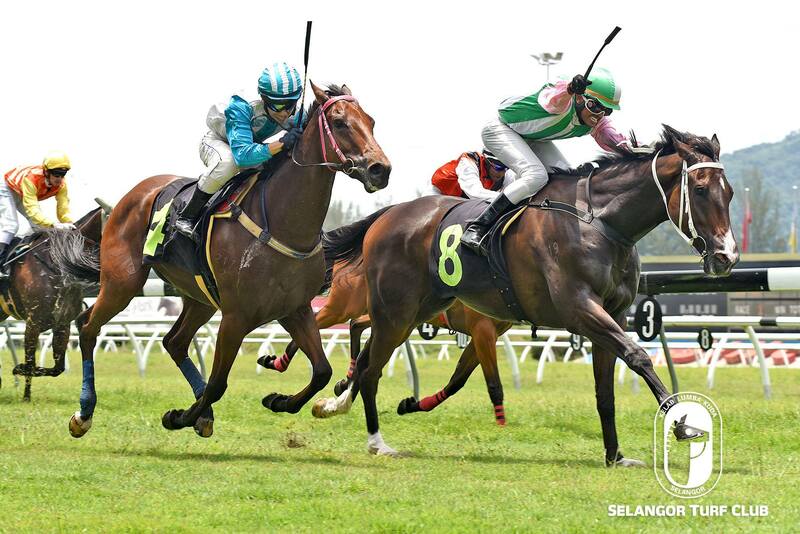 Trainer SY Lim’s Musang King drew attention with a sparkling workout at Selangor Turf Club today (Wednesday). The five-year-old by Battle Paint with Jockey M Ganeesh astride trotted two rounds and then strode out fluently over 600m in 37.6 seconds on a tight hold. Last outing, Musang King finished a game fifth to Polo Master at this course over 1700m early this month. 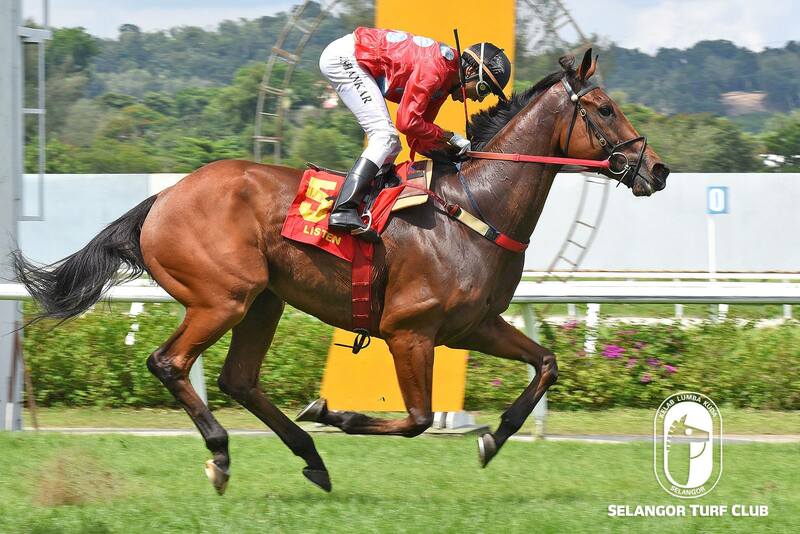 Looks well prepared, Musang King should re-enter the winning list in a Class 5 (B) event over 1400m on the second day of the Lunar New year – 6th February. Class 5 (A) – 1200m (Card 4): Abebe (M Ganeesh) was trotted two rounds and then galloped strongly over the last 600m in 38.8 seconds. Class 5 (B) – 1200m (Card 5): Semifreddo (S Mutaza) also trotted two rounds and then strode out smartly over the last 600m in 38 seconds. Listen trained by SY Lim, caught the eye with a dashing workout on the track. The season nine-year-old by Daydream trotted twice on the inner sand track and then reeled off a good turn of speed over 600m in 35.6 seconds on a tight hold. Last outing, Listen finished a fair seventh to Ateej in a Class 3 event over 1600m at this course this month. Looking very fit, Listen should be reckoned with a chance in the Class 3 event over 1200m on Sunday -10th February. Class 4 (A) – 1400m (Card 3): High Tensile (S. Mutaza) was trotted twice on the inner sand track and then strode out nicely in 40.6 seconds. Class 5 (A) – 1600m (Card 8): Street Of London trotted a round and then took it easy with a pace work.